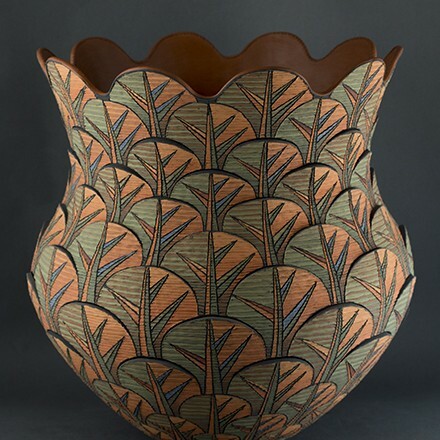 Richard Zane Smith's pottery is unmistakable. 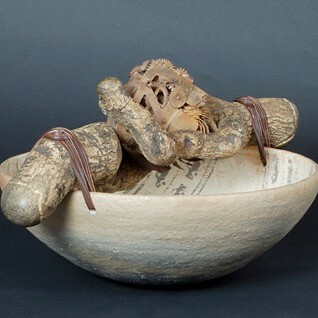 Fashioned from textures of plaited twine, hues of autumn orange and terra cotta, forms of swelling vessels, or a helix in pirouette--his work immediately draws the eye, defies the medium it is constructed of, and defines the very best of ceramic innovation available to collectors today. 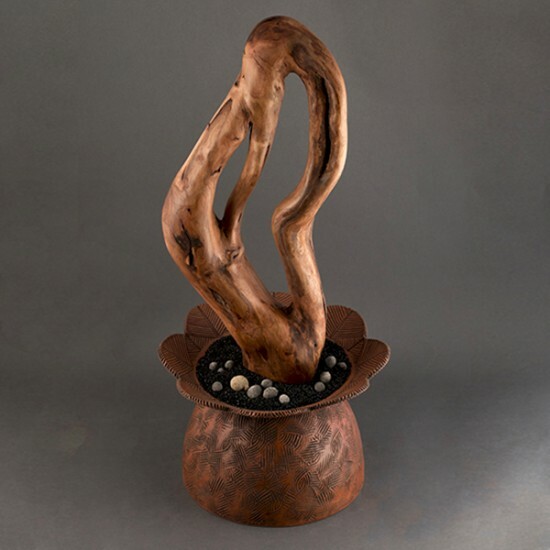 These tactile surfaces of Richard Zane Smith's pottery evoke a commanding curiosity in the viewer--a desire to question their structure and run their fingers along the mysterious skin. 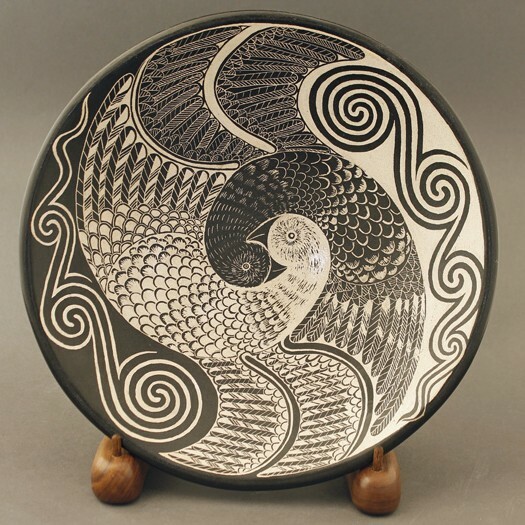 This is a trademark of his work, yet he continues to innovate, further stretching the powers of clay and engaging Native influences from the Southwest and beyond. 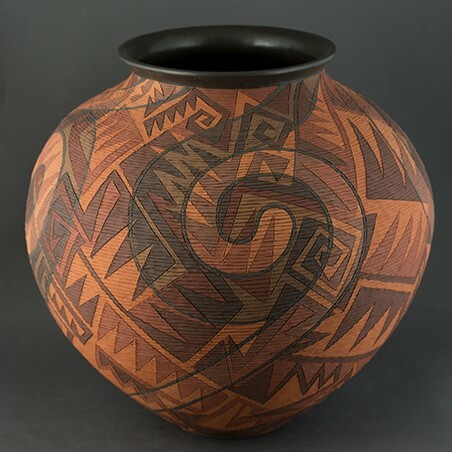 Compelling his work into new realms, Smith might cut deep designs into the clay, subtly referencing the Santa Clara Pueblo style of carving, or incorporate a paddle and anvil method of imprinting the clay, a technique employed by Native cultures of the Southeast region. Yet he always harnesses these influences within the margins of his own creative aesthetic and the roots of his own tradition. "One ideas evolves to the next," states Smith. "As I'm working my mind is already moving on, already thinking that the next time I'll try another idea. From my roots in the Anasazi tradition, I've branched off, adding colors or a different shape or even another cultural element. 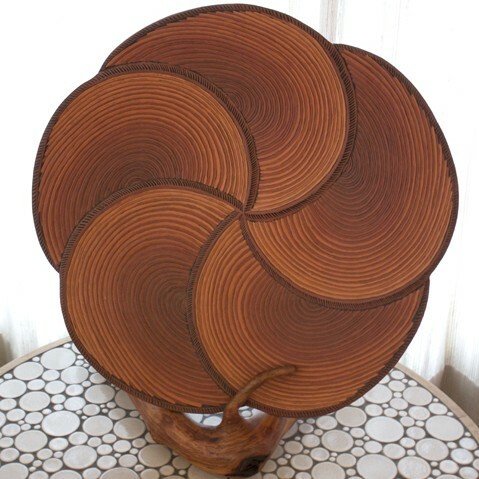 But I know I can always go back to the main trunk and be inspired--I've never exhausted the artistic possibilities."